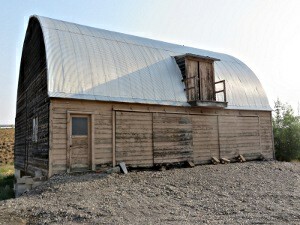 This beautiful historic barn sits on the north end of over one-half acre of property at the edge of Conrad. Property has both commercial and residential possibilities, or both! New RV or mobile home hookup with water, sewer, electric and natural gas. At only $55,000, this would be a great buy, so call today!